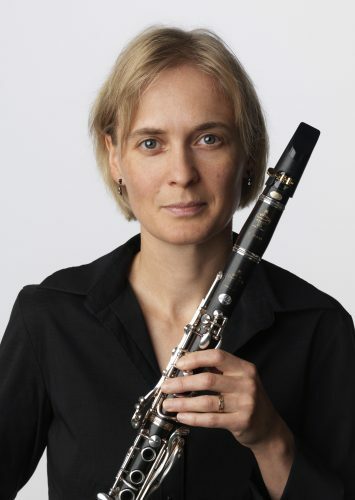 Clarinettist AK Coope performs with an eclectic array of ensembles, including the Vancouver Symphony Orchestra, Turning Point, and Vancouver New Music, among many others. She is a member of Victoria’s Aventa Ensemble with whom she has toured across Canada and in the U.S., and for over 10 years has been a member of Standing Wave, one of Canada’s premier contemporary chamber ensembles. AK can also be heard on countless CD recordings and film sound tracks, from Disney to Dan Mangan. AK began her musical career as a Suzuki violinist and also played piano and double bass before starting the clarinet. She holds a BMus from UBC and an Mmus from Northwestern University, Chicago, where she studied with late greats, Robert Marcellus and Clark Brody. As a composer, she has written songs, collaborated with members of Vancouver’s Dance and Theatre communities, and, in 2006, had her first musical produced.